KFH Group has developed a methodology to evaluate walk paths, curb ramps, and intersections surrounding transit stops and stations. 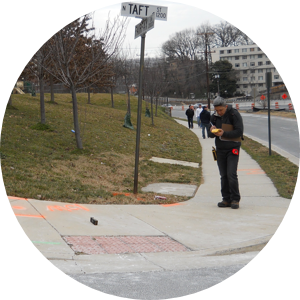 We most recently applied this methodology within the Arlington, Virginia transit corridor under contract with the Metropolitan Washington Council of Governments. © 2019 KFH Group, Inc.